Hey, friends! I hope everyone had a wonderful Labor Day weekend. We managed to go shopping and take advantage of the sales. We got the last piece of furniture we wanted for the nursery (a glider) and bought our travel system since it was around $100 off! 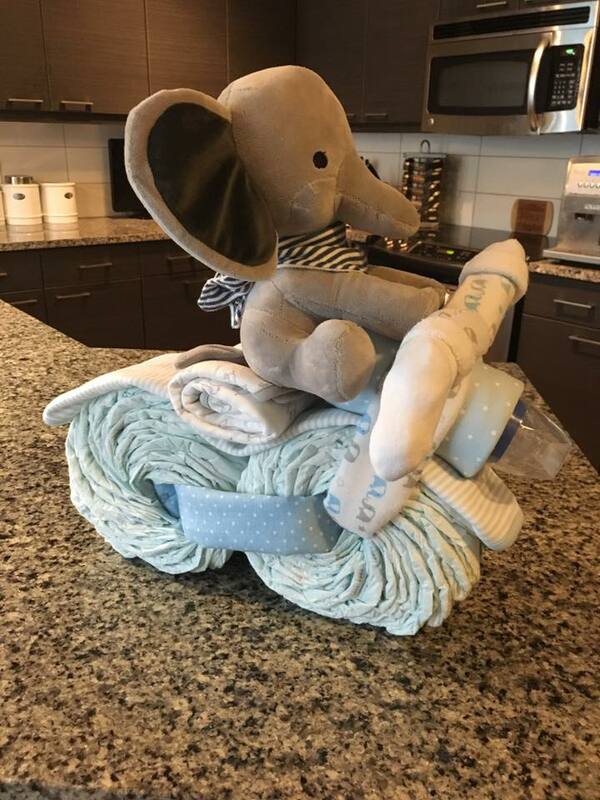 Speaking of our nursery, several of you have asked if we have picked out a nursery theme, and we are doing blue and gray with elephants. Our friends figured that out from our registry, and they threw us the cutest elephant-themed baby shower last month! We’re all crazy about brunch, so it was held at this great brunch place in Dallas called The Woolworth, followed by more fun at a friend’s place who lives nearby. 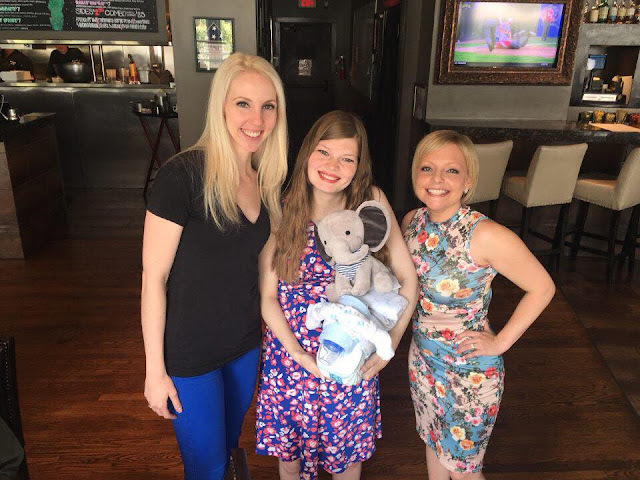 All the details were great, but my very favorite was the host of the shower made the cutest diaper cake of an elephant riding a motorcycle. I’m so thankful for our sweet friends, who hosted such a fun party for us! 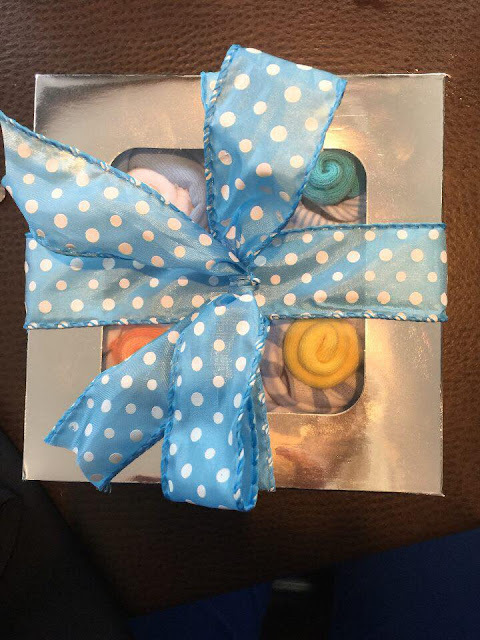 She also made "cupcakes" at of onesies and socks! So cute. 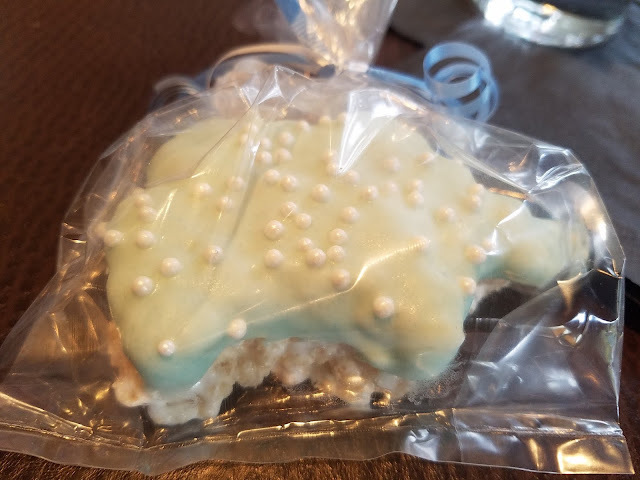 Rice Krispie treats made in the shape of elephants! 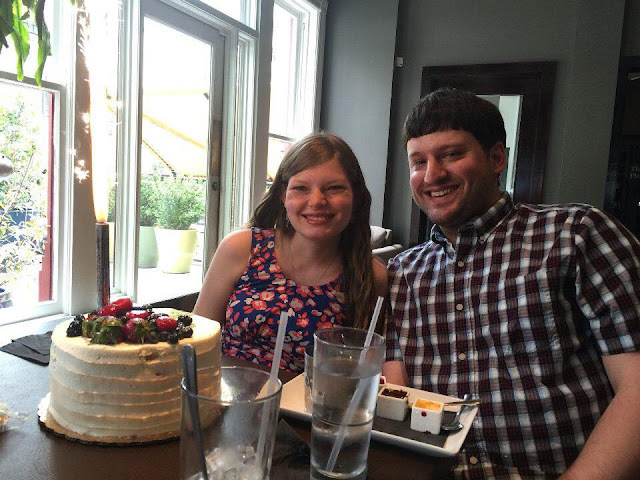 So excited to start this parenthood adventure with my favorite person! Reading the sweet poem where our friends told us they put their money together and bought us a crib! Oh what fun. I love elephants so I love the theme, so cute. Plus, elephants are suppose to be lucky. Your friends are so sweet! 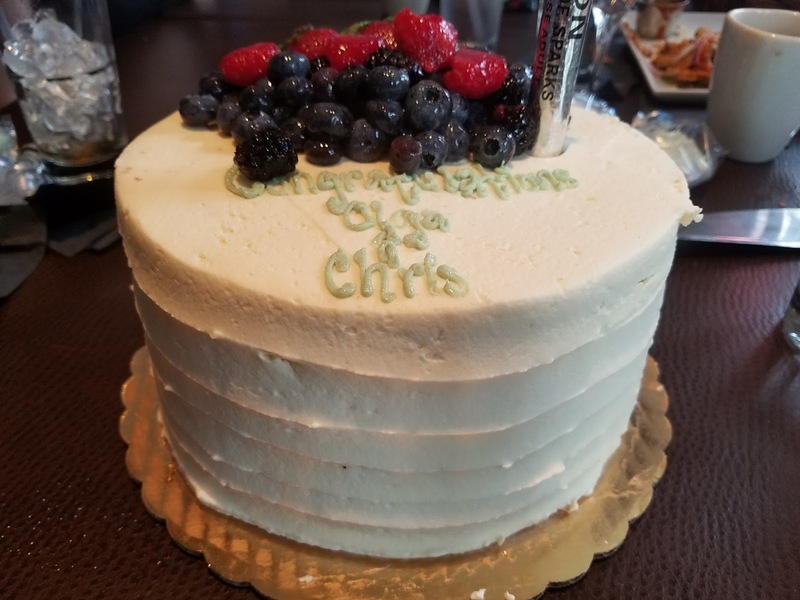 That cake looks amazing. What an amazing shower-- love how they took the theme from your nursery. The elephants are so cute! Adorable! Such a cute theme and what great friends. So cute! You look great. Love the theme - elephants are said to be a symbol of good luck and strength. Plus, they're cute! I love the elephant theme. Trunks up - isnt that a sign of good luck? I love that the theme of the shower matches your nursery! That's so cute! And your friends are seriously so creative! I can't believe that they made a motorcycle out of diapers! That's such a cute theme! THIS IS SO SWEET! I love that you have special friends that treat you to awesome parties! It's so adorable and cohesive! The balloons and motorcycle and treats are amazing! Really cute theme! The cake and goodies look delicious! Yay for sales! I love the blue and grey elephant theme.